DENVER -- The Vail Lacrosse Shootout begins this weekend and Denver City Lax and Encore Brand have teamed up with an entry in this year's men's elite division. 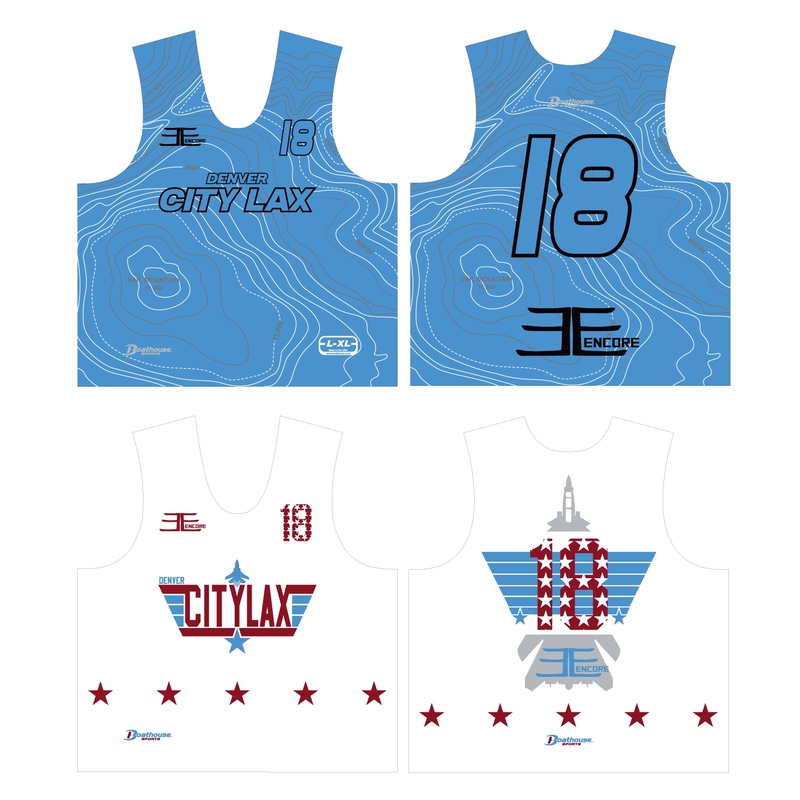 Denver City Lax is a US Lacrosse BRIDGE affiliate introducing the sport in underserved Denver neighborhoods at no cost to participants, while Encore is a social awareness project clothing company based in San Francisco, Calif., founded by John Christmas. "We're excited to partner with Encore," said Ben Allison, program director for Denver City Lax. "Both organizations are working to grow the game and make a difference. The Vail Shootout is a great venue to let others learn more about how City Lax and Encore are impacting youth." The Denver City Lax/Encore men's elite team will field top players from around the country, including LXM pros Kyle Harrison and Sam Bradman, and current University of Denver All-Americans Chase Carraro and Cameron Flint. In addition, past and current professionals joining the roster are Nate Watkins, Andrew Lay, Justin Bokmeyer, Sean McCarthy, Sean Delaney, Maxx Davis and Andrew Casimir. The team will be outfitted in reversibles featuring a high altitude topographical map image on one side, and a Top Gun Fourth of July theme on the other. The uniforms were designed to reflect the Colorado mountains that have served as the Shootout's majestic venue for four decades, while also honoring Independence Day. Boathouse Sports helped design and produce the uniforms. "We are honored that a talented group of players and ambassadors of the sport will be wearing Denver City Lax/Encore uniforms," Allison said. "It illustrates the players understanding of what lacrosse has given them, and the opportunities lacrosse offers urban youth in programs like Denver City Lax." Denver City Lax provides youth programming at no cost for 200 kids, and is one of 14 current US Lacrosse BRIDGE programs located in nine different states from the east to west coasts. USL BRIDGE programs provide lacrosse instruction and life skills enrichment to youth from diverse and underserved populations. Christmas, a current LXM player and Maverik representative, has also been a leader in developing lacrosse in urban areas, founding the LEAPS youth development program with Eric Gregg in Philadelphia. Christmas launched Encore Brand this past year with the goal of using fashion to define a lifestyle that speaks to everyone who wants to make a statement, make a difference and help others through their style and actions. Encore's credo is Action is Character. The Shootout's men's elite competition begins Sunday. For more information about Denver City Lax and Encore visit www.denvercitylax.org andwww.encorebrand.com. Thanks Kyle, Andrew Casimir, Maxx Davis, Marrio Davis and Sam Bradman! Good way to finish up. Only tournament loss to eventual champion Maverick. It took overtime to get the win today, Denver City Lax 12-11 over FCA. We lost today to Maverik, 21-14. We came to Vail with lots of talent ready to win, so kuddo's to the team that beat us. Tuesday's game - Denver City Lax is back on Ford field at 11:00 am against an opponent yet to be determined.